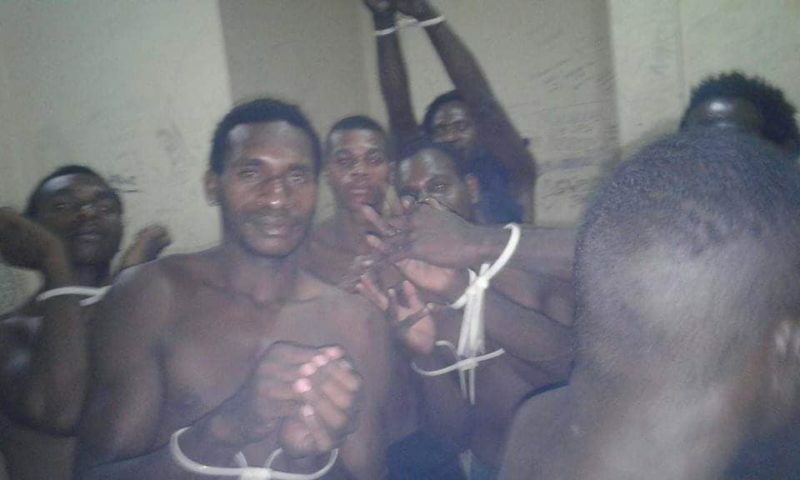 We routinely receive disturbing reports of violence and arrests happening in West Papua. 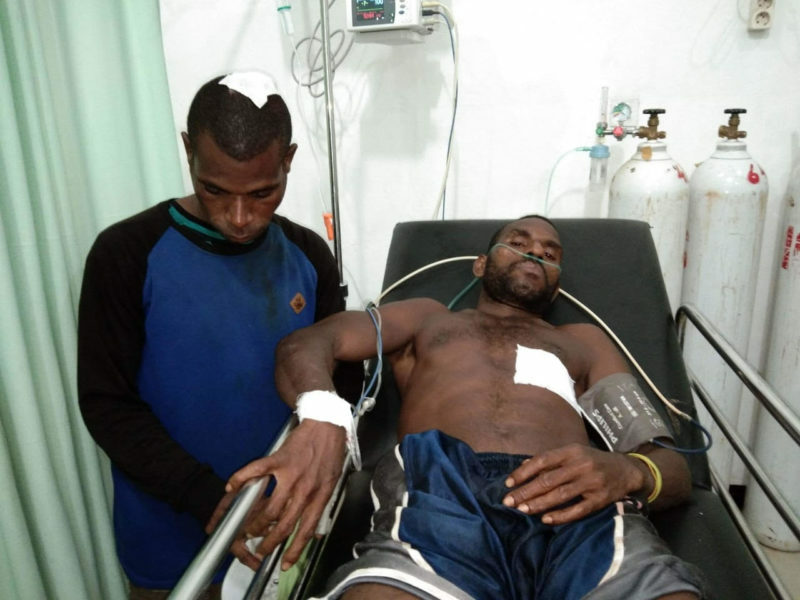 Because there is a lack of media presence on the ground inside West Papua, campaigns like ours are often the first point of contact for the people of West Papua to tell the outside world about human rights abuses. According to the Marijinnews report, because of concern for the safety of their children, residents were in pursuit of possible kidnappers who had entered their village. As residents had been unsuccessful in finding the unknown persons they abandoned their search and were headed to their homes. At this time police arrived and instructed the search party to go home. In response, someone supposedly told the police to go home, and a conflict ensued. The incident resulted in beatings, arrests, and one man who remains in intensive care after surgery from being shot from behind. Buried from what should be the lead of this urgent story is the report about “widespread kidnapping” of children whose organs are allegedly being sold. If this is the case, where are all of the investigative journalists from every international news outlet getting to the details of this alarming situation? If this is in fact a “widespread” issue, how can it, at the very least, not be reported in Indonesian newspapers? Why are Merauke residents and a Catholic student union group policing their own village? The fact that they felt they need to secure their own children, and have a confrontational relationship with Indonesian police, is a very telling indicator that something is deeply wrong here. Merauke citizens under arrest November 25, 2018. 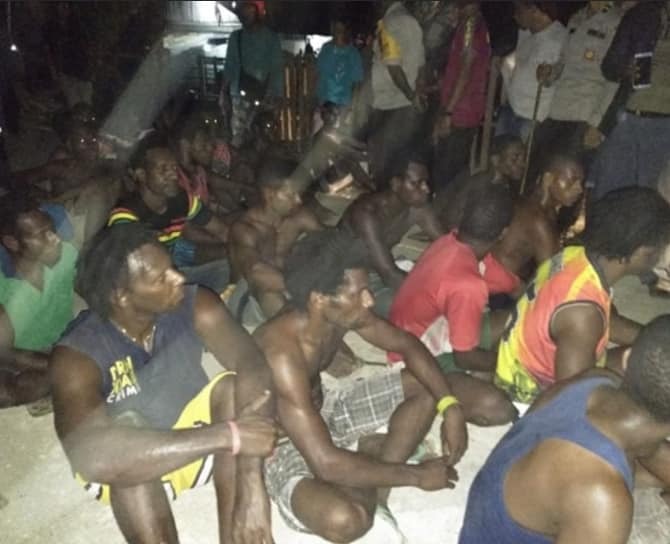 West Papuans are often stripped when arrested.